Nick Fury is director of S.H.I.E.L.D, an international peace keeping agency. The agency is a who’s who of Marvel Super Heroes, with Iron Man, The Incredible Hulk, Thor, Captain America, Hawkeye and Black Widow. When global security is threatened by Loki and his cohorts, Nick Fury and his team will need all their powers to save the world from disaster. 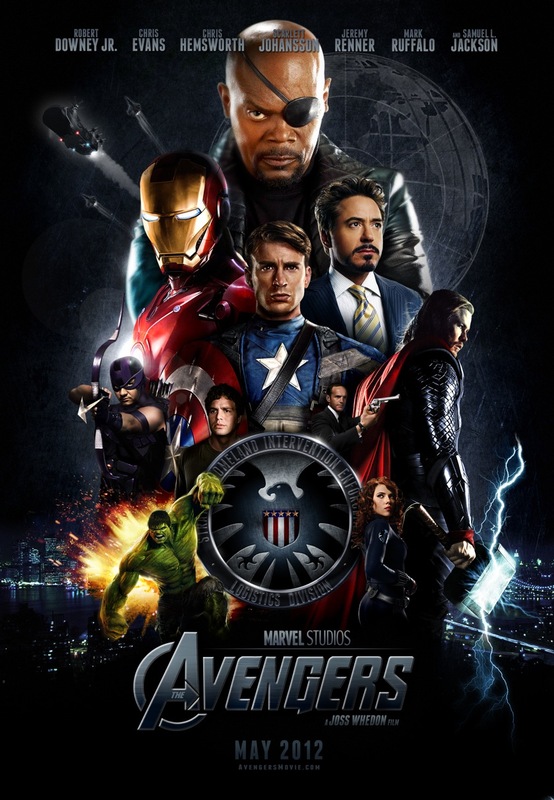 Scarlett Johansson, Chris Hemsworth, Chris Evans, Jeremy Renner, Robert Downey Jr., Mark Ruffalo and Samuel L. Jackson star in The Avengers. Even if you hate comic books. Even if you have never liked even one superhero movie before. Even if you like superhero movies and have never seen either of the two Iron Man movies, Thor, either of the Hulk movies or Captain America. Even if you have no imagination whatsoever. The Avengers is everything you want in an action movie. I am not good at writing reviews but… here goes. This is the best superhero movie — EVER! There is no doubt in my mind. I used to think The Dark Knight was the best superhero movie and it still reigns supreme as far as story telling and character development but for pure action and comedy. It isn’t fair to compare the two movies because they are in two different leagues. I don’t expect this summer’s Dark Knight Rises to do much better that the success The Avengers is having because Bane is not a popular villain and I expect the wave of success to continue for Avengers. The success includes a $200 million dollar weekend box office as well as a worldwide total of $640 million. 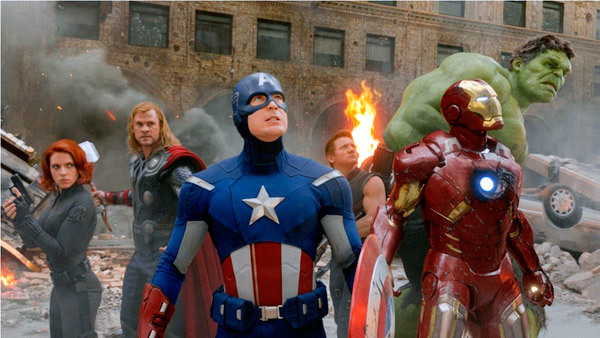 To put the success of the Avengers into perspective, the number two movie only made $8 million dollars. I don’t think anyone even watched any other movie this weekend! For me, I did not enjoy either of the two Hulk movies at all. I didn’t like Ed Norton as Dr. Banner and I did not find anything to like about Eric Bana’s version. I was put off by the CGI but in The Avengers I did not mind at all. In fact Mr. Hulk has the best scene in the entire movie. I don’t want to spoil it for you but the movie is outright, roll on the floor, funny. There are plenty of one-liners and sarcastic remarks to go around from everyone including Agent Phil Colson, however the Hulk has the best single scene in this great movie and I guarantee you a good belly laugh all at Loki’s expense! I saw The Avengers in 3D. This is one movie that should be seen in 3D especially the final battle between Loki’s army and our heroes. This is just a fun, good time, family movie. Entertainment at it’s best. There is an issue I have with how in one scene the Incredible Hulk is a raging lunatic and the very next time Bruce turns, he is in ‘control’ of the monster. Perhaps it is because the second time he caused himself to turn and the first time it was anger. I’m not sure there will be an answer to the question, but that is the only flaw with the film I found worth mentioning. If I were forced to find another issue I would say that even with the 155 minute run time, I left wanting more. I seriously could have sat through another hour and not complained that the movie was too long. I hope any sequels are just as enjoyable. Rating: R for pervasive strong language, some sexuality and brief drug use. Be advised: This attempt at a review contains some spoilers! Splice was a surprisingly entertaining film even though it was not what I expected it to be. It was cerebral and did not rely on gore and blood to keep you interested. There are scenes with blood and gore but the movie does not rely on those few frames. The director instead uses it to make a point. The scene was foreshadowing a later event that gave relevancy to the entire movie. When I watched the commercials for Splice I pictured another Species-like film. Splice is a combination of The Fly and Frankenstein. How can someone so supposedly smart be so very very dumb and unethical? Film after film, scientist want to study or save the alien creature that is wreaking havoc on cast members or the entire human race. I guess it is a formula that works so film makers keep using it, but just once I would like to see the scientists ready to kill the alien hell bent on destroying everyone. I digress because after meeting Dren, (the spliced creation), you don’t want to kill her/it. Or do you? As the movie progressed and I realized it would not be just like Species I was thinking disappointment. I enjoyed the first Species movie. The counter on the player rolled on and I was more intrigued with the direction the movie was taking. This was more than a science fiction movie and much less than a horror movie. Just like I began to think of Data from Star Trek as “more” than an android, I also began to care about this spliced creation. Dren was pulling at my heart. I did not think of her as human, but indeed an sentient being and not just a lab experiment. The final one third of Splice is the typical Hollywood ending. Despite the flaws Splice is still more entertaining than the stuff Hollywood pumps out and calls horror. With the stupid and inane remakes (The Day The Earth Stood Still, 2008) and no reason to make sequels (list is far to long to single out one), Splice is like a hot bath at the end of a hard day or a breath of fresh air, so to speak. Despite not liking the characters played by Adrein Brody and Sarah Polley, the acting was good. 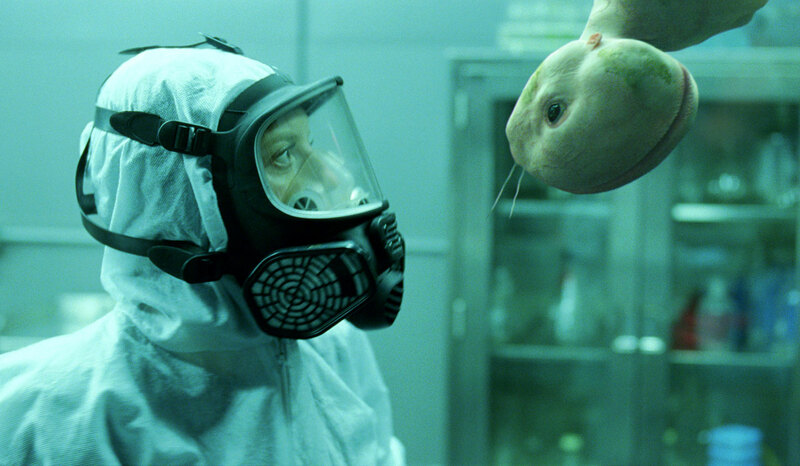 Despite not wanting a hybrid species created by mad scientists, I liked Dren and French actress Delphine Chanéac (with no dialogue), was sensitive and endearing. Think of Tom Hanks in Cast Away. I cannot make promises, but I think if you are a fan of science fiction and sometimes still watch the horrible movies the SyFy channel puts out, you will enjoy Splice. Verdict: Splice gets 4 stars. Recommendation: The Hidden is a science fiction thriller starring Kyle MacLachlan from the 80’s that I thoroughly enjoyed. If you like this genre of science fiction and want the action, gore, violence and awful music, this is for you.